After a refreshing sleep, Gab and Ant headed to Katherine Gorge early in the hope of kayaking before the day was too hot. Upon arriving at the tour desk, they were informed that all kayaks had been booked out and that 6 of their kayaks had been stolen overnight, meaning it was an even longer wait for a kayak. Because of this, the couple booked in for a 2hr cruise down the Katherine Gorge (departing at 1pm), and went bushwalking until then. After enjoying the spectacular views from above and through the gorge, they set out on the long drive to Jabiru and arrived after dark. 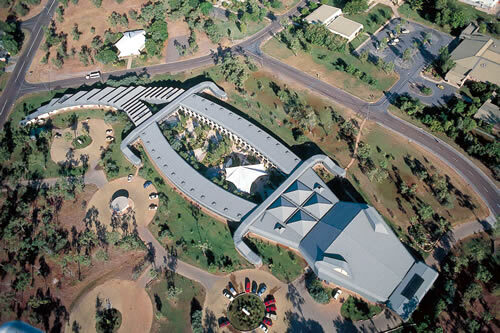 The couple had booked the hotel online and until they were given a map to their room, they hadn't realised that they were staying in a hotel that was shaped like a crocodile !! It was hard to tell in the darkness but in the daylight it looked pretty incredible. As it was late and it had been a very long day, Gab and Ant settled for the (rather expensive) hotel buffet then fell asleep whilst watching the in-house movies in their rather extravagant hotel room. As it was their final day in NT, they slept in, watched the basketball then started the long drive to Darwin. 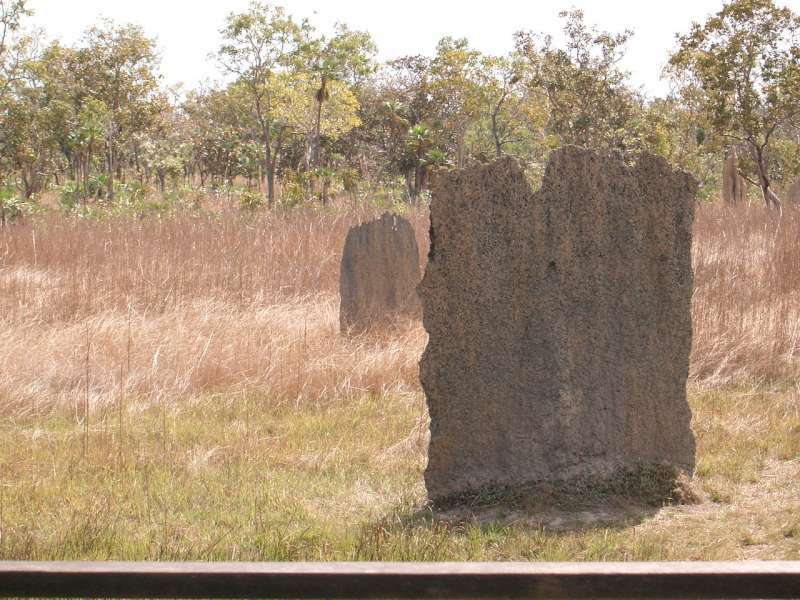 In an attempt to break up the drive, they took a detour to view the Ubirr aboriginal rock paintings and climbed a pathway of rocks to a lookout that gave a great view of the surrounding swamps. Although the detour took longer than expected, the couple had their heart set on going on the last Jumping Crocodile Cruise of the day at 3pm, so had to drive the 300km or so (at a rather scary speed) and made it with 10 minutes to spare. The "Spectacular" Jumping Crocodile Cruise definitely lived up to its name and even the bird feeding that was performed as the boat headed to shore was amazing. 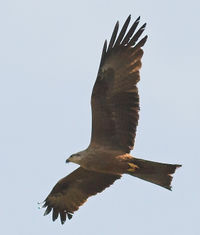 The boat had hundreds of hawk-looking birds called Kites circling overhead and the tour guide threw chunks of meat into the air and the Kites would sore down just above the passengers heads to grab the meat in their talons before passing it to their beaks - Absolutely incredible to watch. The couple then headed to Darwin and went to the night market where thousands of people were enjoying the stalls, food and live music. Gab and Ant then got a great spot in a secluded area of the beach in preparation for witnessing the breathtaking Darwin sunset on the Mindil beach. As the sun was setting, Gab was facing the sunset whilst Ant was facing Gab with a slightly scared, slightly excited and very loving look on his face. As the sunset was at its most beautiful , Ant knelt down on one knee and proposed. Although he had left the ring in the car and couldn't find an opportunity to get it without Gab being suspicious, the proposal was still beautiful. 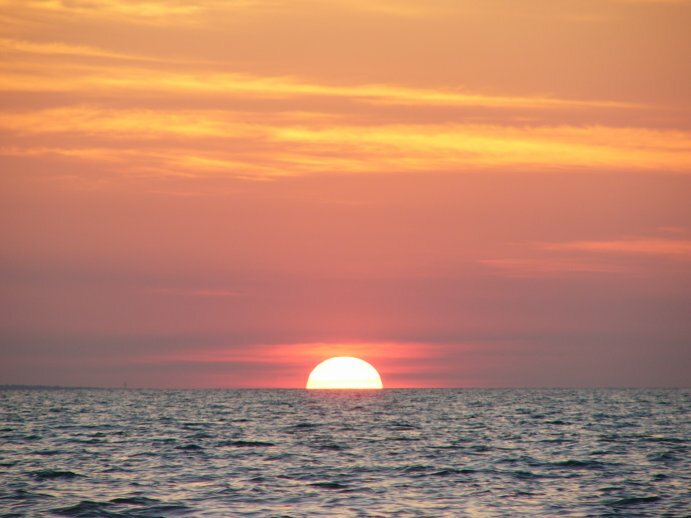 Once the sun had set and the couple had gotten over their initial excitement, they were set with the task of killing time until their 2:10am flight. They headed out for dinner then went to a movie (Miami Vice) where Ant slept and Gab just tried to keep his snoring to a minimum. After "watching" the movie and cleaning the car, the glowing couple headed to the airport. Gab and Ant checked in their luggage and found some semi-comfortable chairs and settled in for the long wait until their flight. The flight departed on schedule and the couple found some seats together at the back of the plane and tried to get some sleep. Unfortunately, the plane was very crowded and not as comfortable as the journey to Darwin so sleeping was barely an option. The flight arrived in Melbourne where it was raining and very cold, and the shorts and t-shirts that the newly-engaged couple were wearing didn't seem like such a good idea anymore. They grabbed their bags, added a layer or two of clothing and headed to the car. Being a contractor (and a dedicated employee), Ant headed straight to work whilst Gab headed home and slept until late afternoon before putting together this web site. It started out like every other holiday - Ant's bags stacked neatly by the front door whilst Gab frantically ran around the house collecting the items on her very comprehensive list (ie packing at the very last minute). After a long day at work (actually, Ant left early to move his car from the station, and Gab had an extra long Yum Cha lunch to celebrate her birthday), the couple grabbed some dinner then headed off to the airport to await their 9:40pm flight to Darwin. After a short delay (surprise! surprise!) they were on their way with Gab enjoying the teeny-bopper movies and Ant catching a few z's. They arrived at Darwin Airport around 2am. It was even hot at this hour! Gab had the good sense to book them in to the Darwin Airport Resort (with a courtesy bus service) which meant they were collected from the airport and in their hotel room by 2:04am, long before other passengers had even collected their luggage! 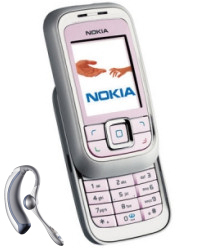 Gab then set about unwrapping her birthday presents from Ant - gorgeous pink earrings, some chocolate (that would soon melt and be thrown away) and a pink Nokia 6111 mobile phone. They set the phone charging then went to sleep, not realising that this would be one of the few locations on their trip where either of them would have mobile phone service. The couple woke up at 9am and went into Darwin City to pick up their rental car. Being petrol-conscious (with an average petrol price of $1.55 per litre), they chose the highly fuel-efficient Nissan Pulsar. 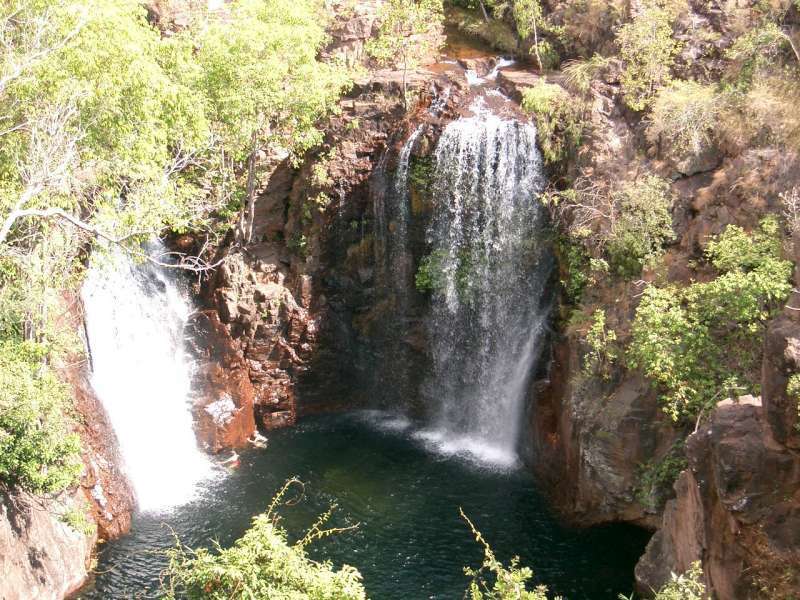 After spending an hour in the city getting lunch and snacks for the road trip, they headed off to the beautiful Litchfield National park, famous for its Magnetic Termite Mounds and 3 beautiful waterfalls at Florence Falls, Tolmer Falls, and Wangi Falls. After driving to all three of the waterfall locations and taking short hikes to view them from their lookout points, they decided to go for a swim at Florence Falls. Ant dodged the entry rocks perfectly but Gab had a little trouble getting into the water due to the fact that there was a fish swimming around her leg and what looked to be a baby crocodile in the shallow pools at the start of the plunge pool. After coaxing Gab into the deeper water, the two of them were rewarded with a peaceful and romantic afternoon swim where they were also able to swim underneath and behind the falling water at the base of the waterfall . After the swim it was getting late, so they headed to their accommodation in Batchelor (the Batchelor resort), had a pleasant dinner followed by a relaxing night. The sleepy couple dragged themselves out of bed at 7:30am to see the "famous" Bird Feeding at the Bachelor Resort. The resort staff talked a big game saying that there would be 1000's of birds coming for the feeding. But, in the end, it was rather disappointing to say the least. The unspoken thought of "I got up so early for THIS?!?!?!?" seemed to echo around the resort. After a nice breakfast (an hour later when the kitchen opened), Gab and Ant got in the car again for the long drive to Katherine. Their first stop was at the War Cemetery which was very peaceful and well maintained. After a short wander through, they were back on the road. 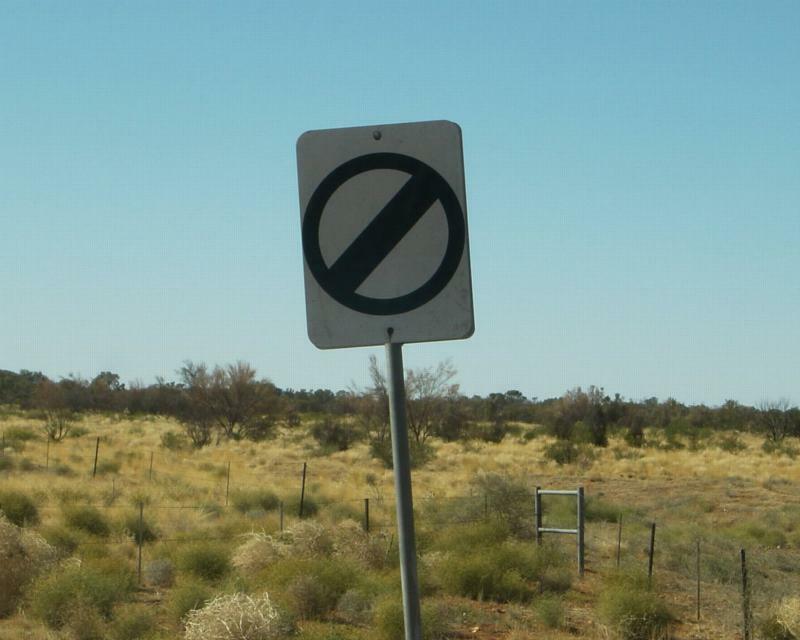 The Northern Territory has stretches of road which have no speed limit . The reason behind this is that everything is so far away and the roads are dead straight for a lot of the journey. As Ant was driving a rental car, he decided to see how fast (safely) the Nissan Pulsar could go. Ant got the car to 160km/hr (which the Pulsar handled quite nicely) but settled to a comfortable 130km/hr for the remainder of the trip. The rest of the traffic on the road was also travelling at this speed, excluding the many campervans and caravans (that typically travel at about 90-100km/hr) and the extremely long road trains (that typically travel at about 100-110km/hr). Finally arriving in Katherine, Ant and Gab decided to relax for the night and went in search of dinner. After shunning the hotel's buffet, they headed into town in search of a Chicken Parmagiana. After doing several laps of the "city", the couple find out that most restaurants in Katherine are closed on a Friday night. Seeings as their choice was basically down to the buffet at the hotel or the one Italian restaurant in town, they settled with the Italian restaurant where Gab had pasta that looked and tasted like a microwave dinner and Ant had a pretty average Calzone (wasn't in the same ballpark or even the same universe as the Darling Harbour Calzone, however it didn't cost him $140 either). The couple then headed back to the hotel and had an early night so they could make an early start the next morning.